Recycling Your IT provides a variety of IT recycling services around Hertfordshire. Including PC Recycling, Monitor Recycling, Server Recycling and Network Equipment Recycling to Recycling of Printers, Photocopiers and Fax Machines, we provide a wide range of WEEE compliant computer recycling services in and around Hertfordshire. Recycling your IT securely wipe data from storage devices and even shred hard drives, if required, thus ensuring maximum data security. Many businesses in Hertfordshire rely on us for their IT equipment disposal needs. We also provide the required quality assurance documentation that you’ll need to clear audits. To use our Computer recycling services in Hertfordshire, you can simply give us a call or email. All of our staff are trained in IT disposal and computer recycling and are friendly and efficient. We are used to operating in corporate environments around employees who are trying to get on with their everyday jobs, so we will commit to do our job with the minimum disruption to you. 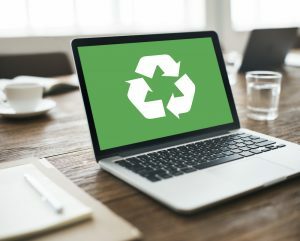 We are a 100% eco-friendly computer recycling company and adhere to WEEE directives and other norms around Electronic Equipment recycling and disposal. So, if you’re looking for IT Equipment Recycling in Hertfordshire, don’t hesitate to get in touch with us.